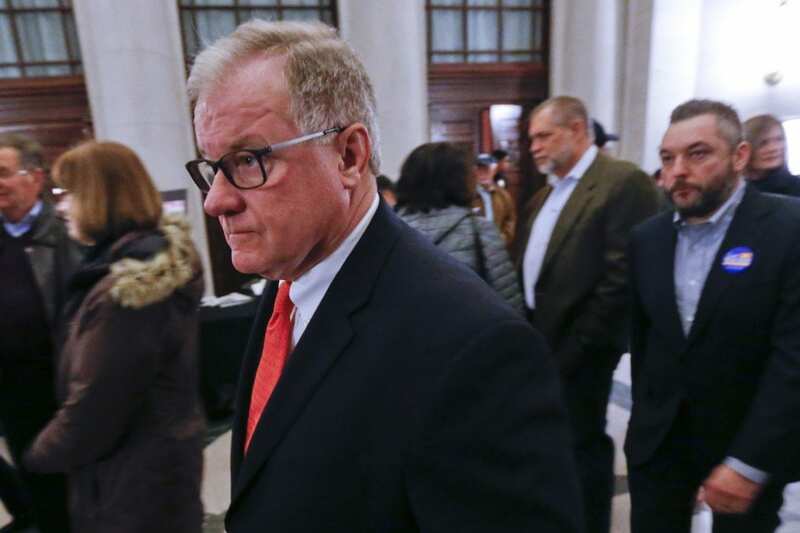 HARRISBURG, PA (WSKG) — In the wake of the of a Florida school shooting that killed 17 earlier this month, Republican state Senator Scott Wagner is making school safety a centerpiece of his campaign. In particular, he is pledging that if elected, he’ll instate a mandatory death penalty for any school shooter who kills someone. The U.S. Supreme Court has ruled multiple times that mandatory death penalties are unconstitutional. Governor Tom Wolf put a moratorium on Pennsylvania’s death penalty when he took office, which he said he’ll revisit when a state Senate study on capital punishment is finished. He also said he wouldn’t promote stricter gun control laws in his quest for school safety — though he noted he has to take a closer look at current regulations. “There are automatic weapons that are made in other countries. There’s a black market. And for anybody to think that all these gun control measures right now would have prevented it…it’s not reasonable to think that,” he said. He advocated for armed guards in all schools, though didn’t elaborate on how he’d pay for them, beyond noting that some schools employ retired state troopers for security purposes. Wagner is in a three-way race for the GOP nomination for governor. He recently beat lawyer Laura Ellsworth and health systems consultant Paul Mango to snag the state Republican Party’s backing.